If you can view a 15Five, you can use the 'Pass it up' option to alert your manager of an item that needs further discussion. 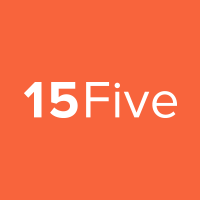 Viewing a 15Five includes followers, managers, and anyone who can view through drill-down or group viewing. This feature makes it easier to remember and discuss these items; as it will appear on your report to discuss with your manager. You can pass up an answer or a priority, and it will appear on your own 15Five. If you miss submitting a 15Five report, the passed up answers will show up on the next week's report. 1. To pass up an answer, click on the '...' by the comment or answer. 2. Click 'Pass it up". NOTE: Followers can also 'Pass it up' and answers will appear on their own report to discuss with their manager. This can be used if a teammate you follow leaves an answer that you would like to talk with your manager about. Also note, direct reports will see when their manager passes up an answer.